Huge success for the panoramic selfie activation at Europe Day! To celebrate Europe Day, the EU institutions open their doors to the public on 6 May in Brussels. Local EU offices in Europe and all over the world organise a variety of activities and events for all ages. Each year thousands of people take part in visits, debates, concerts and other events to mark the day and raise awareness about the EU. 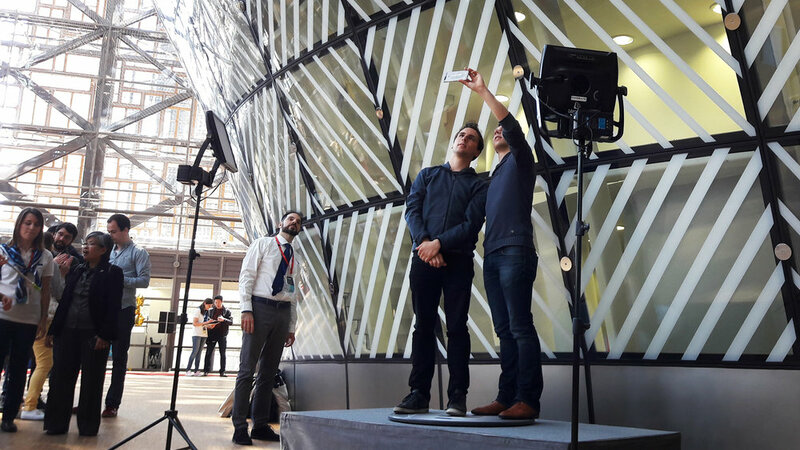 Following a successful first collaboration during the opening of its Europa Building, The Council of the European Union asked Panora.me to install its panoramic selfie solution during the Europe Day. The result? Almost 350 panoramic selfie videos were made during the day, generating thousands of views on social media (Facebook, Twitter, Instagram, Messenger and WhatsApp)!